Danro design and manufacture food labels & labelling for food products and manufacture all types of food labelling for the retail and kitchen environment. 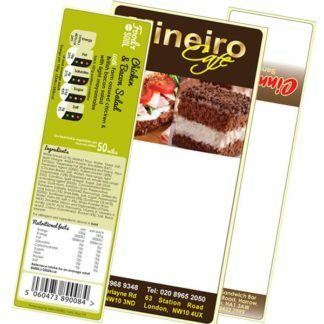 We have a range of standard sandwich labels for cafés, small food outlets, delis, farm shops etc. We can also design and print sandwich labelling solutions that include your specific branding. Danro produce labels for kitchens and food producers that include day dots, allergy warning labels etc.